Hi, check if there is a file named ,, common" in your fifa10 main game folder and delete it. Otherwise please contact me on my facebook page, and I will try to find where the problem is to fix it. I don't have that error in my game. Maybe deleting some championships I use less? I want to work on serie B and serie C teams, so I need a lot a lot a Lot of free space... Thanks for your help. I'm sorry to disturb you again. After loading your patch I tried to upload the fonts I created and some new minikits but, after 5 or 6 serie A teams, this work caused again the error in CM 10, I supposed this is because there's no more space to use... I tried to change zdata archives (97,98 and also previous numbers as 50 51) but without result. I s there a way to expand database more? So I tried with an old windows xp pc and I loaded your World Cup patch and update 01 AND IT WORKS! So I will use this pc to play Fifa... I followed your instructions and also serie a cmp patch is loaded. Thank you very much! 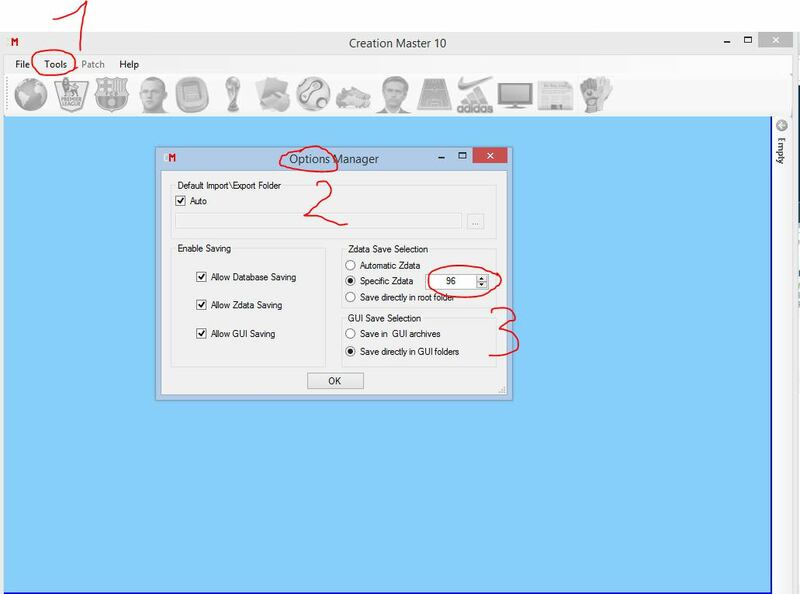 thanks for your suggestions but the error in creation master appears immediately when i try to load your patch... so I can not import any file... I don't know what happened with these recent windows updates... damn... There's another way to import the patch without using CM10? And how import teams in two different folders? I tried to install the Serie A cmp patch and it gives me "debug JIT (Just-In-Time) error"
Must I install serie A CMP on a clean Fifa 10? There’s a way to solve this problem? Hello... that is becouse of fifa db memory Serie A patch have many files, try to import the half of teams in 2 zdata folders... for example 10 teams in Zdata 95 and other 10 teams in zdata96. if you use my patch you can select only the teams and green players from CMP version , and import them in zdata 95 , because there is more free space. Will you make also serie a numbers and minikits? I will make only minikits because I'm focused on updating full top 5 European leagues and I don't have enough time ... It needs a lot of work. Ok. For Serie a minikits I think this link it could be useful. I'll try to make serie a numbers for you in order to complete your work. Hello, I'm currently working on 18/19 update but I can update only Serie A , not B from Italy ... I'm not sure when the update will be available but when it will be ready I will post the announce on my Threads from this forum ,keep in touch!